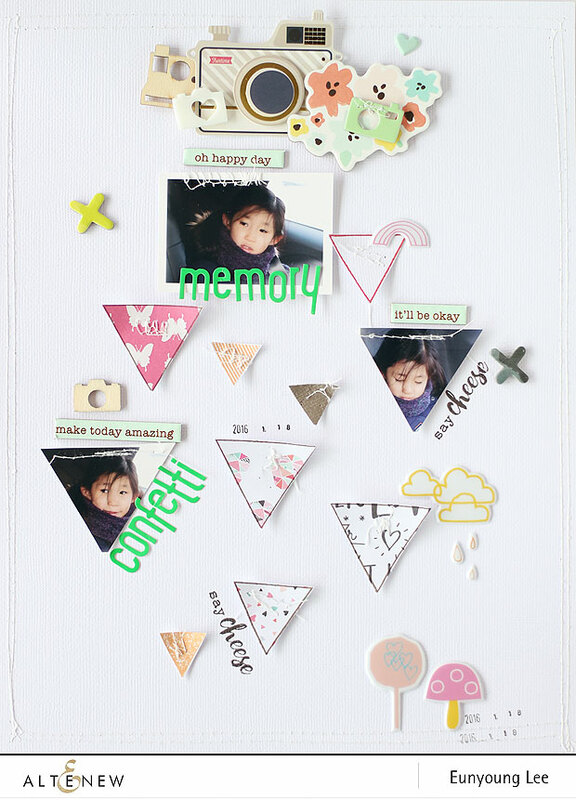 For this scrapbook layout, first I stamped the different sized triangle images on white cardstock & patterned papers using crips dye inks. ( Velvet Crisp Dye Ink , Caramel Toffee Crisp Dye Ink and Lava Rock Crisp Dye Ink ) And after cutting stamped trialges & photos, I sewed them by machine. Because I love the texture of ‘stitchings on paper’, I usually have machine stitchings on paper. I embellished with some puffy stickers & little shapes. And I added title with pretty green colored alphabets . 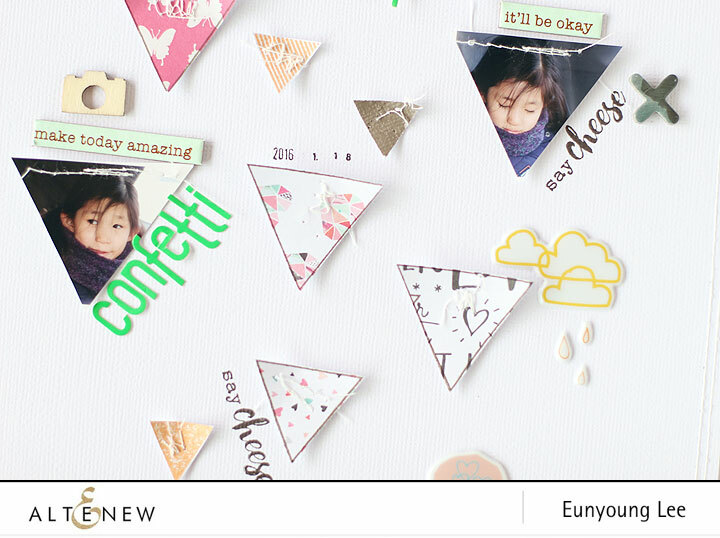 I finished to stamp short message with Say Cheese stamp set. 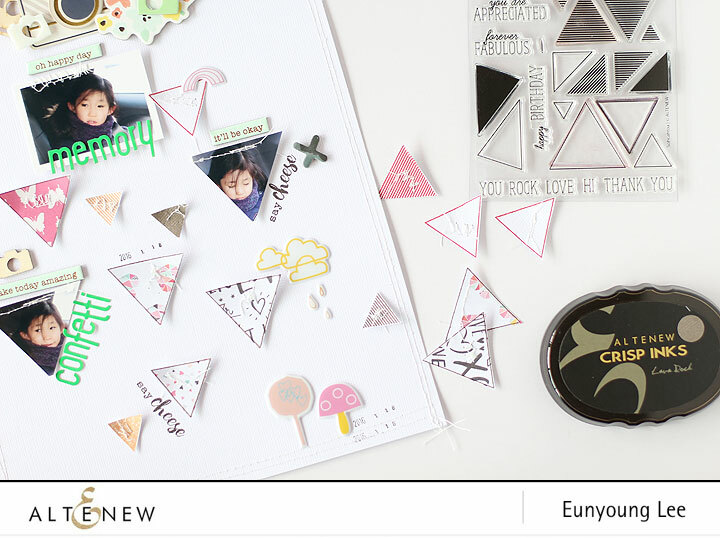 I made a step-by-step video to show you how to create a scrapbook layout with Sohcahtoa stamping pieces. You can watch below or on Altenew youtube channel. I hope you’ll enjoy. Thank you! 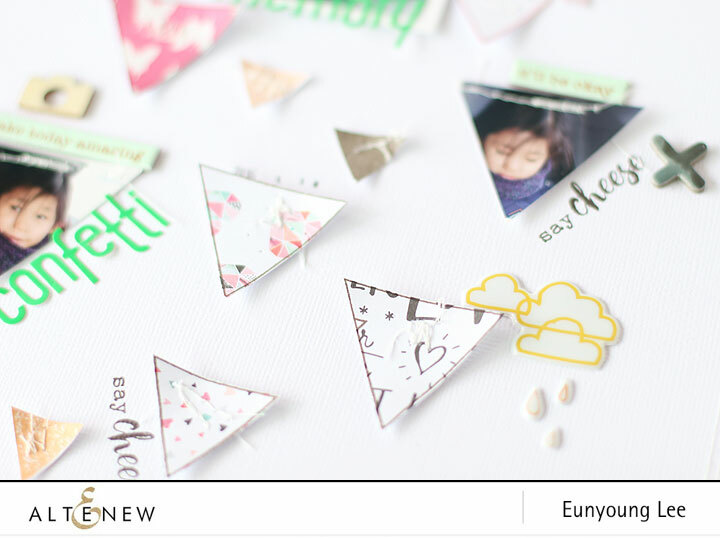 Eunyoung – what a cool, unique and fun layout you have made here!! Love the geometric shapes and the stitching on things!! Wonderfully done!! Thank you lovely!!!? Have a happy weekend~?